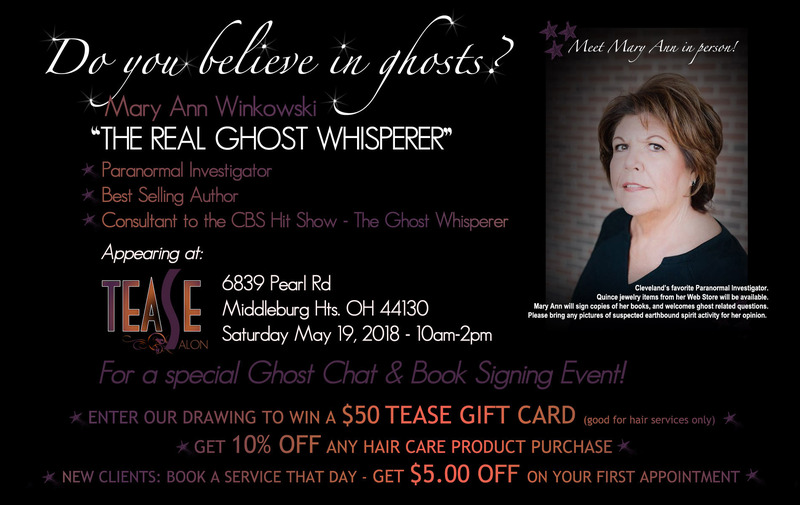 Join us at Tease for a spooky customer appreciation day with Cleveland’s favorite Paranormal Investigator, Mary Ann Winkowski…The REAL Ghost Whisperer! Mary Ann is a best selling author and was the consultant for the hit CBS TV show, The Ghost Whisperer, starring Jennifer Love Hewitt. 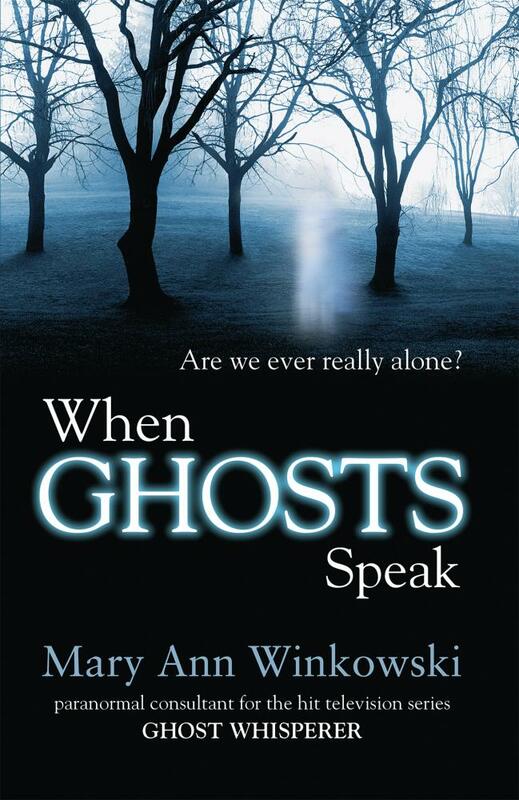 You can meet Mary Ann in person at our salon as she will be signing copies of her books and answering your ghost related questions. Be sure to bring any photos you would like to get her opinion on regarding possible spirit activity in them. You can pick up some of her jewelry items too. While you’re here, be sure to enter our drawing for a $50 Tease Gift Card! You can also enjoy 10% off any hair care product you purchase that day. New to Tease Salon? We are offering any new guests that would like to give us a try, to book a service with us that day and receive $5 off their first appointment with us. You won’t want to miss this super fun event! Mark your calendars! Saturday May 19 from 10am-2pm at Tease Salon.